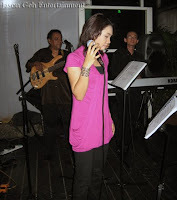 Nas Adila was the featured singer during this birthday party held at Chandeliers, Kuala Lumpur on 25th June 2009. 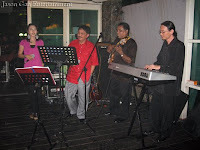 She was accompanied by Jason Geh's two piece live band comprising of keyboardist and bass player / singer. 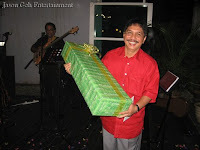 Wan Abdbari, the birthday boy came up to sing a few songs with the band in all good fun!